We have received the latest statement from Celebrity Cruises of the tragic accident which occurred in Tauranga. The statement also includes more terrible news of Celebrity Solstice cruise ship passengers being involved in a tragic bus accident. We extend our most sincere and heartfelt condolences to the family and friends of our 71-year-old female guest from the United States who died today while ashore in Tauranga, New Zealand. The guest, who was sailing on Celebrity Solstice, had been participating in the company-sponsored Harbourside Cycle: Surf and Colonial Explorer shore excursion. A member of our Care Team is providing support and assistance to her family. Our thoughts are with her family and friends, and we will continue to do our very best to assist them. Additionally, a bus transporting 37 Celebrity Solstice guests on a company-sponsored Hobbiton Bus shore excursion was involved in a traffic accident with another vehicle. The driver of the other vehicle passed away. Some guests onboard the bus sustained minor injuries, but all returned to the ship. Member of the ship’s onboard Care Team is providing support and assistance to all guests involved in today’s unfortunate incidents. Celebrity Solstice is sailing a 12-night itinerary that departed Sydney, Australia on Monday, November 14, with port calls to Milford Sound, New Zealand; Doubtful Sound Dunedin, New Zealand; Akaroa, New Zealand; Tauranga, New Zealand; Auckland, New Zealand and Bay of Islands, New Zealand. A 71-year-old American female cruse ship passenger has sadly died in Tauranga, New Zealand today. According to local news, the woman was hit by a truck while on a cycling tour. It has been confirmed that the woman was from a Celebrity cruise ship while it was making a port of call for the day. Tuesday, 22 November 2016 – 4:46pm – Following the fatal crash between a truck and a cyclist this afternoon, Police can confirm the deceased cyclist was a 71-year-old woman. The crash occurred at approximately 12:15pm at the intersection of Mirrielees Road and Te Awanui Drive in Tauranga. It is believe the woman was American and had been a passenger on a visiting cruise ship. The Commercial Vehicle Investigation Unit and the Police Serious Crash Unit are investigating. The tragedy occurred near the Tauranga Harbour Bridge at around 12:15 in the afternoon and not long after emergency services were at the scene. Not much details are yet known including the exact cruise ship the woman was from. The passenger is believed to be from the 121,878 gross ton Celebrity Solstice cruise ship which is currently sailing a 14-day New Zealand cruise. The vessel departed Sydney, Australia on November 14 and is scheduled to arrive back on November 27. 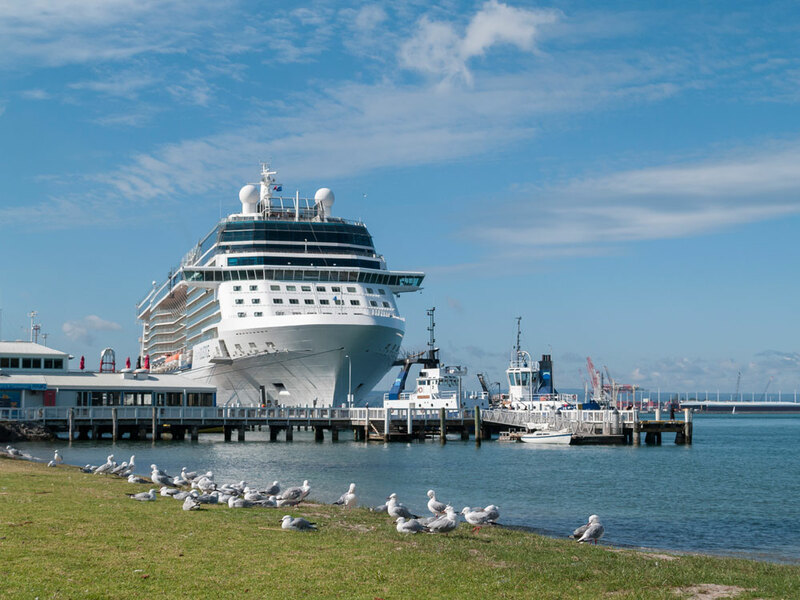 Tauranga is a well know destination for cruise ships in the region and is located in the region of Bay of Plenty on the north island of the country. Cruise Hive has contacted the cruise line for more facts and a statement and will update this post once we get a response.